Online companies have a multitude of options regarding how they can host their website, application, mail server, or online project. Usually, most people opt for shared hosting plans, wherein a single server’s resources are shared by several different people’s websites. But unfortunately a shared hosting solution is no longer sufficient for companies managing high traffic levels, technically sophisticated software, and large-scale websites. The solution? Dedicated servers. And, since according to IDC 45% of the server market runs on Windows as opposed to Linux’s 21% share, you’re probably on the hunt for Windows dedicated servers. Windows server’s got their start in 1993, with the NT Server, where it eventually matured into Windows Server 2008, 2010, and 2012. Windows servers are a powerful alternative to Linux, and come with several advantages. – Because of its popularity, a Windows operating system’s navigation, interface, and usability are immediately familiar. – Windows servers are equipped with .NET and ASP.NET technologies, providing you with a built-in framework for developing web applications, websites, forums, and much more. – An enterprise level server database supports MS-SQL. – Useful internal document sharing tools, like SharePoint, are included with Windows-specific servers. LiquidWeb.com is a privately owned company first established in 1997. They utilize three state of the art Tier-3 datacenters, all of which are based in the United States. LiquidWeb also uses Tier-1 bandwidth providers for maximum speed and data connection. In addition, they employ over 400 on-site staff members and cater to 30,000 global clients. A few of these clients even include Fortune 500 companies like GM, Toshiba, Audi, Bose, and more. Overall LiquidWeb uses high-powered dedicated servers alongside the latest technology and software. Servers can be managed, unmanaged, and run on Windows or Linux. Apart from their standalone dedicated server plans, LiquidWeb also offers fully-equipped dedicated server bundles for medium to large size businesses. LiquidWeb is more on the costly side, and they use software-based RAID rather than RAID hardware, hence their position at number 12. 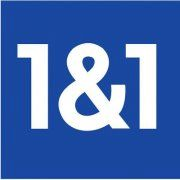 1&1.com was first founded in 1991 and today is a world leading web hosting provider leveraging the power of advanced servers in 10 different countries. 1&1 manages over 19 million domain names and is growing increasingly popular for their affordable dedicated servers. Even though 1&1’s budget servers aren’t the most technologically sophisticated, for the cheap price they come with a high number of CPU cores, a massive amount of storage, and two free backup hard drives. Get started today and save a significant amount of money on your first three months usage. iWeb is one of the larger names on this list. Established during 1996, iWeb became one of Canada’s very first internet infrastructure providers. Today they are owned by Internap. iWeb’s primary datacenter is located in Montreal, although they also utilize datacenters in Texas, California, Singapore, Amsterdam, and New York City. Each datacenter is environmentally-friendly, features N+1 redundancy, and uses close-knit ISP peering. Because iWeb is a Microsoft Cloud OS Network Partner, technical support staff is certified and each hosting plan is optimized with the latest Microsoft software, such as with Windows Server 2012 R2 edition and SQL Server 2014.
iWeb’s Windows dedicated servers come with a full suite of the latest Microsoft tools, a simple web installer, and a knowledgeable support team. Our only problem with iWeb lies in the fact that iWeb’s dedicated server plans containing SSD storage were limited, with SSD prices starting at $240 a month. Although in fairness, they do offer enough HDD storage space to make up for it. GoDaddy doesn’t give you many options regarding server customization. Their Economy servers are a solid value buy, but their largest server plan isn’t exactly worth the price tag. There’s better high-end options out there, but GoDaddy is a reliable alternative for smaller projects. HostingSource, a low-cost full-fledged web hosting provider, has been in business since 2006. They rent server space in two datacenters located in New Jersey and New York City. HostingSource’s dedicated cloud, storage, single and multi-CPU server plans comes with unmetered bandwidth backed by an experienced staff with over 20 years of experience. Here are their lowest and highest cost single-CPU Windows dedicated server packages. HostingSource is liked for their low prices, large storage capacity, and hardware-based RAID. The only downside to purchasing a dedicated server from HostingSource is that a Windows OS requires an additional $20 a month, but even with a monthly cost of $95 for their lowest plan, it’s definitely still worth buying for the 1 TB SSD storage alone. They also offer all Windows OS versions, from Windows 2003 to Windows 10. LimestoneNetworks was founded in 2007 in Dallas, Tx, where they quickly became a popular hosting provider for the gaming industry. They use a single Tier 3 datacenter in Dallas, TX alongside a Tier 1 ISP carrier to achieve the lowest possible latency. LimestoneNetworks offers plenty of dedicated server packages for both new online projects and established companies. For just $85 a month, plus $20 for Windows OS, you get access to blazing fast servers alongside a considerable amount of hard drive storage space. Codero offers dedicated, cloud, managed, and On-Demand Hybrid Hosting solutions. Codero was founded in 1992, and after experiencing tremendous growth managed to earn trust from massive companies like NBC News, Barclays Investment Bank, and Delta Air Lines. Codero has also gone on to receive numerous industry awards, such as “Best Uptime Guarantee” from HostingAdvice in 2016 and was ranked as the 7th “Most Reliable Hosting Company” by Netcraft in 2015. We like the fact each dedicated server plan can be further customized to fit individual needs. An extra 16 GB RAM costs $16 a month while 2 TB of SATA HDD storage only costs an additional $4 per month. Running the server on Windows OS costs an extra $12.80 a month. But overall, this is a quality dedicated server provider with diverse packages. Superb.net was founded in 1996 and eventually became the first company to offer commercial VPS services during in the early 2000’s. The company also claims to be the first true 100% Network Uptime SLA. Superb.net’s connective backbone consists of 11 core network sites across five different US states, with three SSAE 16 Audited data centers. Superb.net offers some of the most cost-effective plans for dedicated dual processors on the market. Server plans range in price from $49 a month to $709 a month, but a Windows OS runs at an additional $25 per month. But overall, Superb.net’s dedicated server packages are worth the price. UnderHost was established in 2007 and now serves over 6,000 customers and hosts over 25,000 domains. UnderHost uses their own servers, located in the US, Canada, and the Netherlands. One of the few hosting providers on this list who focus purely on dedicated servers and solutions, ServerPronto has been operational for over 13 years. They maintain their own US-based datacenter and utilize multiple Tier-1 Internet Backbones at 10 Gbps speeds. Each plan can be upgraded with SSD, RAID, and a 1 Gbps port. Their Value plan is an excellent server option for small to medium size websites, while their Power package is great for CPU intensive applications, streaming, or VOIP projects. Overall, ServerPronto provides quality server plans at highly competitive prices. 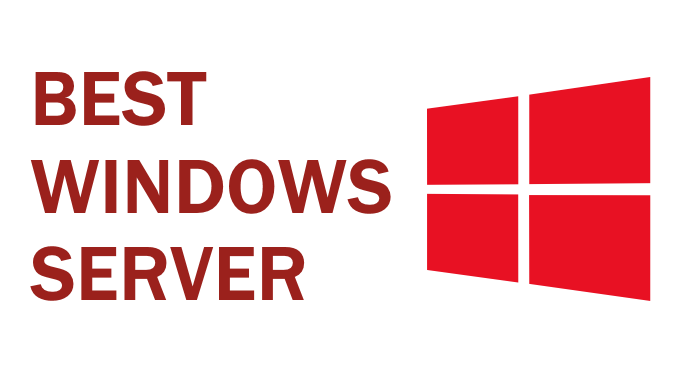 Highly recommended Windows OS server provider.